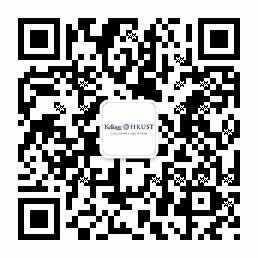 The Kellogg-HKUST Executive MBA program is a world class program that brings together senior executives across the globe on a new level. The program transforms leaders to think differently, connect with likeminded individuals and discover new opportunities. 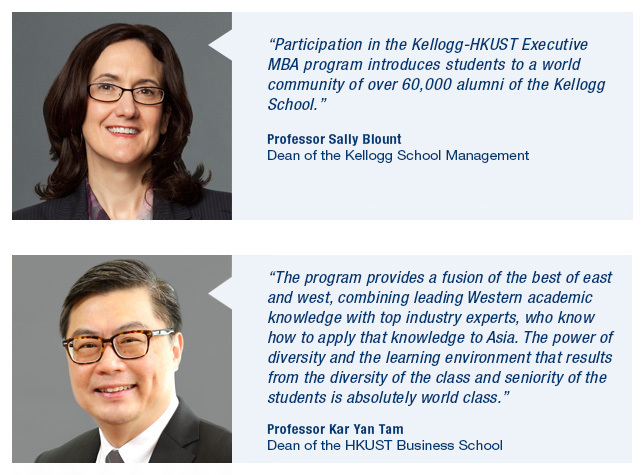 The Kellogg-HKUST Executive MBA program is a unique partnership between the Kellogg School of Management at Northwestern University and the Hong Kong University of Science and Technology. Our renowned program brings together senior executives from across the world to instill a new way of thinking and embrace unique challenges. The program equips students with the skills needed to make strategic business decisions to transform both their professional business environment and their personal life. 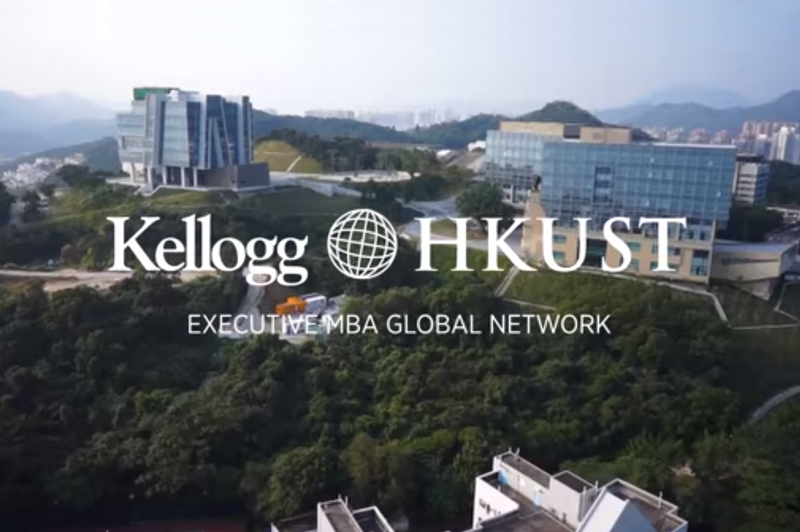 At the Kellogg-HKUST Executive MBA (KHEMBA) program you will embark on an intellectually stimulating journey, discover remarkable opportunities and build enduring connections with fellow students and faculty. You will be part of a truly global network and have access to a world class faculty spanning 6 continents that gives you Western perspective with Asian insight. At KHEMBA you are part of our global network. You are the world class. The program is uniquely designed for senior executives across the world and helps them to develop their skills and broaden their outlook to transform their businesses. It is organized in short but intensive modules and students are required to take two courses each month. Managing groups of co-operating firms for international competitiveness. 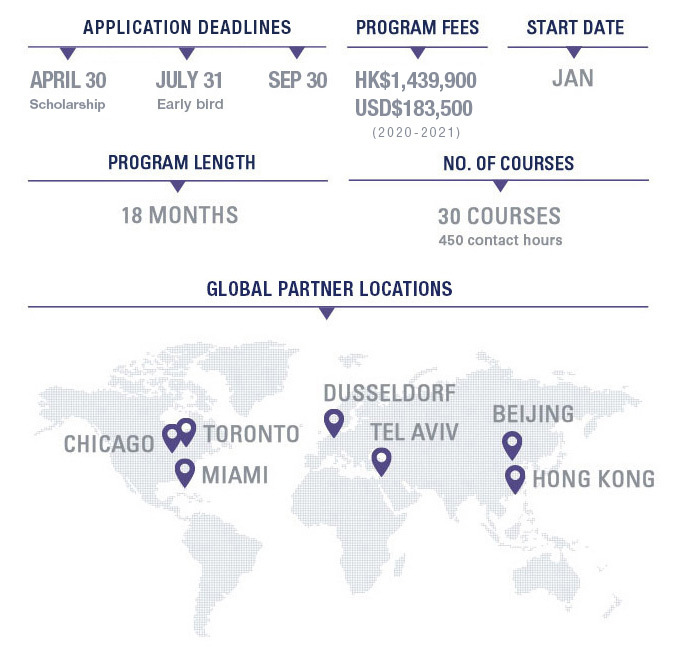 Upon successful completion, participants are awarded one Master of Business Administration degree issued jointly by Northwestern University and HKUST. Graduates become alumni of both universities.